Read about Shola Adesanya, a former CTH student, find out about her experiences and see what advice she has for anyone studying the CTH programme. Shola, an EThames Graduate School alumni started her career in Hospitality by studying for a CTH Level 4 Diploma in Hotel Management. Shola realised the importance of also gaining practical skills alongside her CTH studies, and applied for a job at Premier Inn Hotel. Later, she was giving the the role of Night Duty Manager for the Premier Inn Hotel in London. While working, she would successfully gain her Level 4 qualification. Eager to carry on with the programme she then moved on to gain a CTH Level 5 Diploma in Hotel Management. Through her studies and hard work she is now working as a Deputy Front of House Manager at the prestigious Goodenough College, an award-winning postgraduate accommodation provider, and is responsible for 3 properties (London House, William Goodenough and the Goodenough College Hotel). 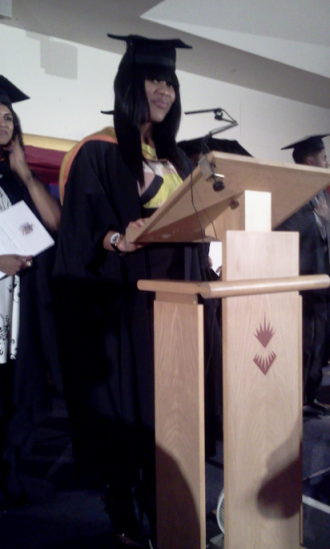 Shola worked hard and so deserves all the success she has achieved thus far. Goodenough College is situated in one of central London's most beautiful garden squares and provides a home for international postgraduate students and their families. Its mission is so well endorsed that one of its most prestigious patrons is Her Majesty the Queen Elizabeth II, who is said to take an active interest in College affairs. "CTH was a great starting point for me and it greatly contributed to my career progression. CTH gave me the platform needed to excel in International Tourism and Hospitality as it provided me with an in-depth knowledge of the industry."